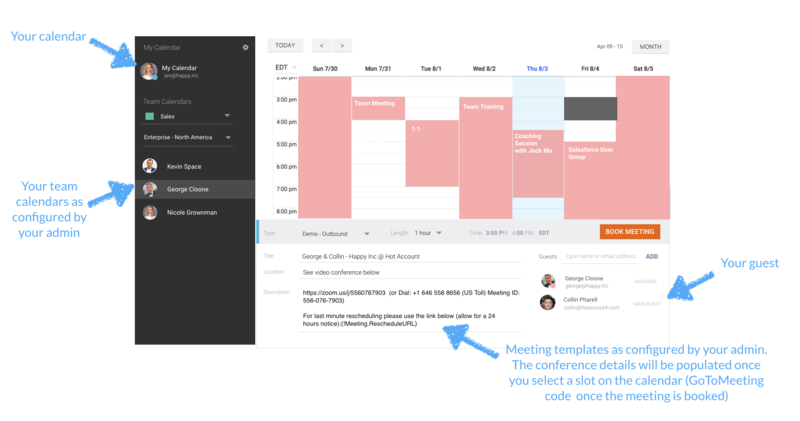 Once you click to book a meeting the event is created in the correct calendars natively (prospect, colleague, yourself). Optionally you can also create the event in Salesforce automatically. It records additional information such as no-shows, reschedules, re-assignments, who booked the meeting and the place where the meeting was booked from.